Have You Been Charged with Child Abuse or Neglect? Even the most innocent situation involving a child can be misinterpreted to be child abuse or child neglect. In Florida, anyone can accuse a parent of either of these crimes. A neighbor, a schoolteacher or even an ex-spouse can call police about an incident he or she thinks is abuse. Once a report is made, the Florida Department of Children and Families will conduct an investigation that could end with your child being taken from your home. What Is Child Abuse in Florida? Any willful act or threatened act that results in any physical, mental, or sexual injury or harm that causes or is likely to cause the child’s physical, mental, or emotional health to be significantly impaired. Once a report is made, the Florida Department of Children and Families will send an investigator to the family’s home. The DCF investigator has the power to remove the child from the home and even begin a court action to terminate a parental rights. At The Umansky Law Firm, our criminal attorneysare here to make sure the state does not dissolve families. There are exceptions to the Florida child abuse statute, such as disciplinary actions. If your child was taken wrongly, we will help you get him or her back. If the state has evidence of child abuse, we can help you take steps to address parenting issues such as enrolling you in parenting classes. If it is a first offense, we may be able to get you into a diversion program to get the case dropped. In other cases, we may be able to get charges dropped or reduced! What Is Child Neglect in Florida? When most people think about child neglect, they think of a situation such as a parent leaving a six-year-old child at home to fend for him or herself. In real life, the charge is more cloudy and open to interpretation. You may think that a 12-year child who is responsible and a good student can be left at home while you go to the gym to work out. However, if police are called to your home for some reason, you may be arrested for child neglect and labeled a criminal. In Florida child neglect can be charged when the child is forced to live without neccessary items such as shelter, food, medical needs and clothing. Child abuse can apply if living in those conditions cause or could potentially cause the child severe stress emotionally and/or physically. A momentary lapse can result in charges of child neglect. Our client left his infant in a car while he went inside a store. The police had to shatter the windows to get the baby out of the car. Our lawyer was able to get the government to reduce the Felony to a second Degree misdemeanor. Our client was NOT convicted and got probation. Additionally our client did not have to do jail or prison time. We were able to explain that our client made a mistake and needed a second chance. The consequences for being convicted on a charge of child abuse or child neglect are extremely serious. In situations where the abuse or neglect did not cause serious injury, permanent disfigurement or disability, you will most likely be charged with a felony in the third degree. The penalties for this charge includes up to 15 years in prison and up to $10,000 in fines. There will also be an impact to your ability to retain custody or have any interactions with the child or children in question. Anyone with previous abuse or neglect convictions is facing increased penalties, such as a minimum 15 years in prison and be considered a habitual violent offender. There are several different defense strategies for this type of crime. Our attorneys can argue that your actions were a mistake and not a criminal act, and that you are entitled to a second chance. A mistake does not mean you are a criminal, and often times criminal neglect charges are not what they appear to be. At The Umansky Law Firm, we are here to protect your rights as a parent. We represent parents who have been accused of child abuse or child neglect. Our firm knows how serious these charges are, and the impact they can have on your life, family and future. Our criminal attorneys use more than 60 years of combined experience when pursuing a resolution to the charges you are facing. 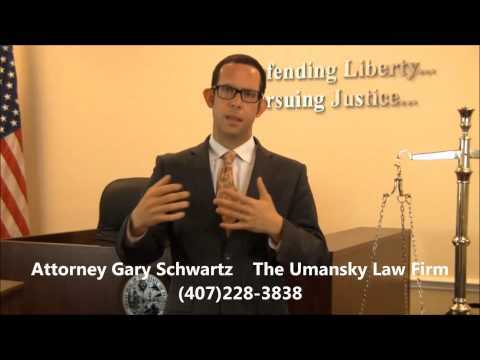 To schedule a free case review with an Orlando child abuse and neglect attorney at The Umansky Law Firm, contact us online or call 407-228-3838.